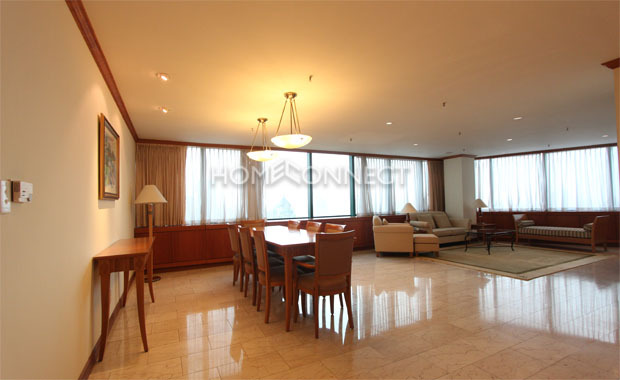 This leading serviced apartment for lease district 1 is located in the very heart of Saigon. 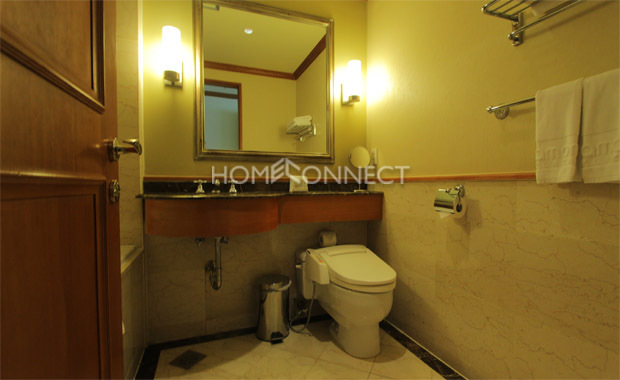 This 136-square meter serviced apartment in Ho Chi Minh City with white interior accented with natural wood holds two bedrooms and three bathrooms. Outfitted in contemporary color tones, the main area is adorned with a fabric sofa, accent tables, armchairs, multifunction consoles and shelves. A separate viewing area has a sofa, coffee table, and flat TV/console. A modern kitchen is fully equipped with a countertop, cabinets, drawers, cupboards, sink, backsplash, burner stove, hood, speed oven, and refrigerator. The large bedrooms are supplied with beds of different sizes, wardrobes, dressers and TV/consoles while the bathrooms are fitted with quality tiling, showers, sink vanities, and a bathtub. 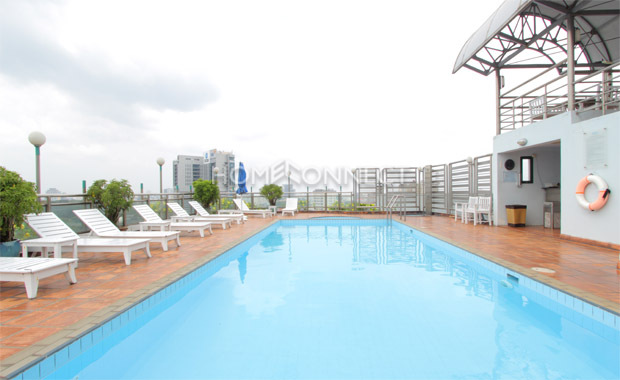 Facilities include 24-hour security with CCTV, front desk, private parking, maid service, cinema, business center, swimming pool, tennis courts, sauna, fitness gym, children’s room, BBQ area and shopping mall. 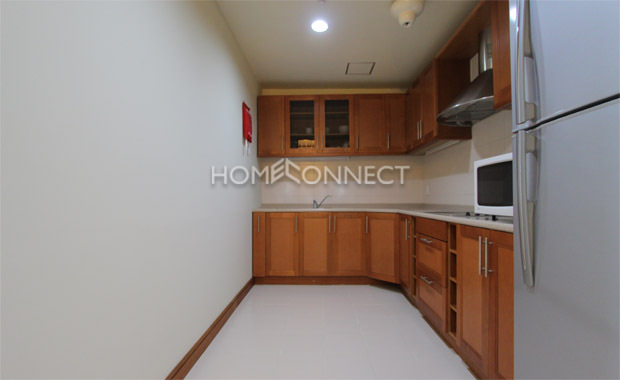 Location of this serviced apartment is in the heart of the central business district of Ho Chi Minh City, host to many shopping malls, tourist attractions, parks, restaurants, pubs, disco clubs, coffee house, spas and much more.